The main task of a human resources department is to manage a company’s human element, which involves maximizing their output, appraising their performance, managing payment, and others. It is a job that clearly requires a degree of interpersonal skill. Of course, like any other profession, there are software tools available now that can help make the job easier. One of these is Recruiting Software, which assists with every aspect of recruiting employees, such as managing communication with prospective hires, posting jobs, even facilitating interviews with applicants. In short, there are software tools that can make management of the human element easier. That is not to say that these tools can only assist with recruiting new employees; after all, managing human resources requires more than just attracting employees. Organizes Employee Information – The first thing onboarding software should do is make employee information available so as to provide a quick summary of individual employees. This is especially crucial for new hires, who require effort to acclimatize. Employee Tracking – Onboarding software also ought to be able to help HR departments keep track of employees. This way, HR has a better means of overseeing all the employees and ensuring that they keep productive. Digital Form Signing – Many of these software programs also have support for accomplishing all the paperwork digitally, which can streamline processes and eliminate a reliance on paper and all its disadvantages. Task Management – Like other managers, HR should be able to post employee goals in order to keep employees focused on tasks and motivated to see the tasks done. Letting employees see their overall goals allows them to keep those goals in mind as they work. 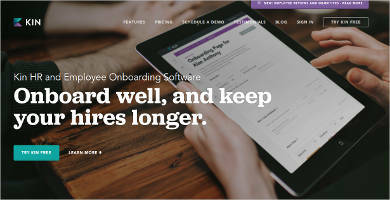 Streamlined Onboarding – These software tools make it easier for new hires to be integrated into the company, by making communication easier and giving them concrete goals right away. New hires can therefore spend less time acclimatizing and getting into the work immediately. Paperless Office – Most of these programs allow you to store paperwork digitally, eliminating the need for paper. Processes can be streamlined thanks to shorter waiting times, and storing data no longer takes up physical space, all of which lowers the company’s red tape. Better Organization – Since all the paperwork is no longer stored physically, that should make organizing and finding documents much easier, as everything can be controlled from one’s computer. 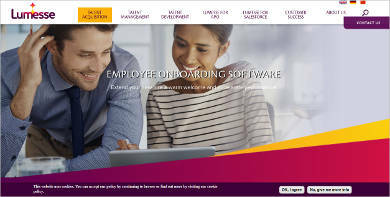 Clearly, onboarding software can only be a boon to HR departments, and companies might do well to acquire software like this in order to improve their own workflows.